Today or actually yesterday I stumbled onto something I didn’t realise before, I thought it might be interesting to share with you so you know what to expect. I’ve been working with a customer on a VDI project where we deploy Microsoft Windows 10 as a VDI operating system. Microsoft Windows 10 as endpoint operating system and as VDI operating system. 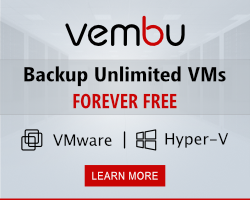 So it’s some products we use and not all of them are that common for me in project, NSX and Alienvault are a first timer for sure. But they are not the issue here, yesterday I ran into an issue with building the VDI desktop image that the startmenu was not as expected. It seems like a small issue but for a employee the startmenu is their main entry point into the system. It is where they find their applications and where they start their day at work. Some might say full blown desktops are a thing of the past but over here with local government and 300+ applications the desktop is life-liner. This customer was on Windows 7, still is, and will be moving to Microsoft Windows 10. We are testing the CR release (1511) and the LTSB (10240) release. We will build on the LTSB release as that one is without all the home-user-crapplications and without Edge. What we saw was that in the startmenu you can’t create sub-menus. What is a submenu you might think, a submenu is the menu that you find under e.g. accessories like System tools or under Microsoft office called Microsoft Office support programs. Several components in a Windows XP/7/8 startmenu have a main menu and a submenu. 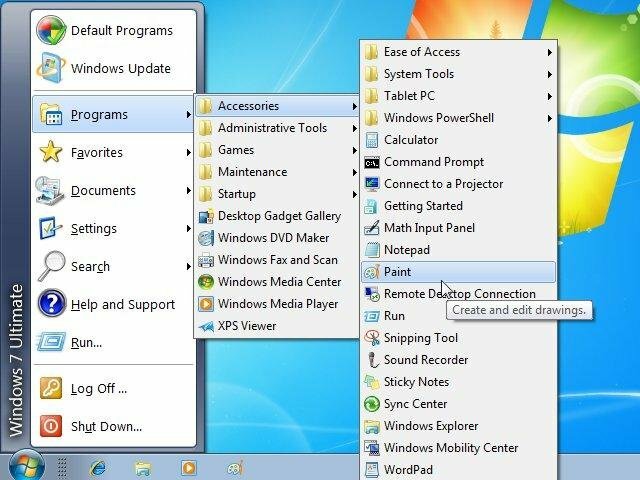 As you see below the Microsoft Windows 7 menu structure has these submenus as described earlier, there are several submenus. You create these to make it easier for employees to find applications are tools that are used to manage applications. But that is Windows 7 and Windows 8 but with Microsoft Windows 10 the story is different. 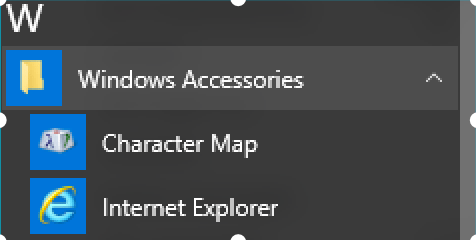 Since Microsoft Windows 10 we seem to have no submenus anymore, if you look at your startmenu you see that Windows Accessories is a menu and all the submenus you saw in Windows 7 (look in the previous picture) are not there. It was freaking us out as we were working with RES ONE Workspace to build a desktop and for some reason (one I didn’t know at that time) we got all applications in one menu, all applications together. So my first thought was RES has a bug so I called my co-workers (and RES 😉 ) on projects and we did some test with different versions, different operating systems to see if I was wrong (seems they like to prove I was wrong 😉 ). With all the tests we did we saw that Microsoft Windows 10 was handling the startmenu and menus different than before, something I never realised. So if we look beneath the hood we see something different, the files and folders are still there. If I look at the file system I see a Windows accessories folder and two subfolders called System Tools and Tablet PC. If I open these folders we see that there are actual applications living there, in the System Tools we see Character map. So Let me take a screenshot again of my startmenu and show you where Character map is located. It’s located directly under Windows Accessories and not in a submenu as it is a file level. It seems a design thought because I can’t see any other reason for it, how hard can it be to display submenus in Microsoft Windows 10? their applications fast and easy like a natural flow. Customers have hundreds of applications, some old some new but all important for business. Creating menus to cope with the failure of Microsoft showing a submenu will lead to a forest of menus in the end. This will browsing for applications not easier and will clutter the startmenu as all the applications in one menu now also do. If we look at the Microsoft Office menu you see what I wrote about earlier that all the items that you would find in a submenu are now listed in the main one, making it cluttered and for employees hard to find hat they need. My thought on this is that Microsoft designed Windows 10 with new business and home users in mind, little number of applications, working with basic applications and perhaps not using the startmenu that often. I think it is an big mistake thinking like that as we see customers every day that still rely on their startmenu to find the application. They are not the new type of user everyone at conferences are talking about, they are the generation that worked with Windows XP, moved to Windows 7 and now is pushed towards Microsoft Windows 10. Microsoft changes to the startmenu handling menus will lead to discussions at customers whether they want to move to Microsoft Windows 10 as the change for employees has impact. I had my first discussion yesterday and my Windows 10 project my convert to a Windows 7/8 project if I don’t find a good explanation soon. I’m working to get a happy customer not to get a happy Microsoft. For me this was a new feature I never saw before, perhaps you knew all this already but if you didn’t hope it helps in your projects. haha, just added that fact also to the article… yeah I see our vendors as my co-workers, we discuss issues and possibilities together and that is appreciated.